Pennsylvania is filled with great places to retire. All 10 of the communities on this list perform well nationally as well. Only Florida and Oregon have 10 communities that all rank higher in our national index. 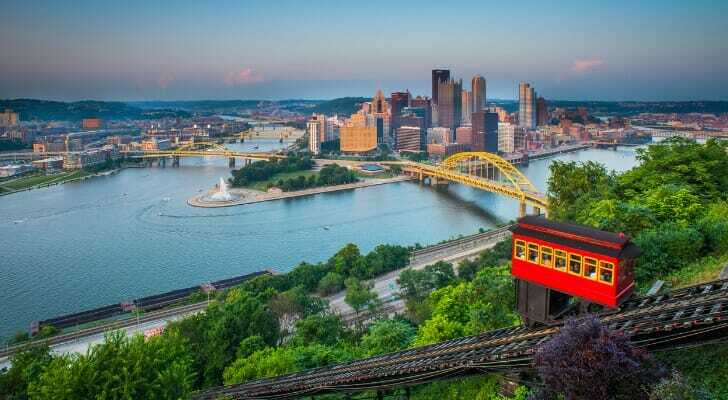 Major cities like Philadelphia and Pittsburgh provide plentiful resources, but the state is also filled to the brim with small-town charm and space to spread out. If you are considering moving for retirement or you just want help developing your general retirement plan, finding a financial advisor could be a big help. Thankfully, SmartAsset’s financial advisor matching tool has made the process as easy as filling out a short survey. You can also check out our list of the top financial advisor firms in both Philadelphia and Pittsburgh. To determine the best places to retire in Pennsylvania, we examined a few different factors. First, we looked at the tax burden, determining how much of your retirement savings would have to go to taxes every year. Access to quality medical care becomes even more important in retirement, so we also considered the number of medical centers per 1,000 residents in each location. We examined the number of recreation centers and retirement communities as well, since many seniors look to find a community of fellow retirees when moving to a new home. Finally, we looked at the percentage of senior citizens in each community. We combined all those factors and came up with an index to rank the cities both nationally and in each state. Below are the 10 best places to retire in Pennsylvania. Media, Pennsylvania is our best place to retire in the state, but it also ranked fifth overall in the nation. The town of roughly 5,000 people is located a short drive outside of Philadelphia. It’s rank is due in part to its many medical centers – the town has almost 21 per 1,000 residents. Odds are you won’t have much trouble getting in to see a doctor. The town also has five recreation centers per 1,000 residents, which means plenty of local events and activities. The only knock on Media is it’s only 15% seniors, the lowest mark on this list. However, it has the second-most retirement communities per 1,000 residents on the list, so you will still be able to find a local community without having to look too hard. 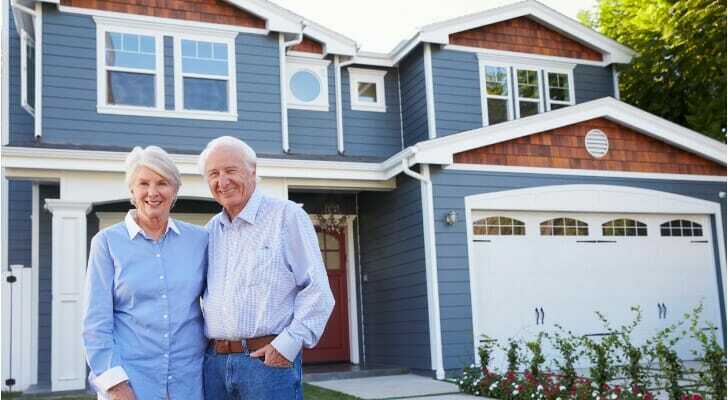 The town of Bridgeville, Pennsylvania is another excellent place to retire, taking the second spot in the state and the 33rd spot in the country. Located roughly 25 minutes from Pittsburgh, the small town had roughly 5,000 residents at the time of the last census. Bridgeville has the highest tax burden of any communities in this article at 17.8%. However, the difference between the highest burden and the lowest burden in this top 10 is only 1.4%. Bridgeville’s high ranking is in part due to its 1.56 retirement communities per 1,000, the highest figure on this list. This town in eastern Pennsylvania is located about an hour north of Philadelphia. At the last census, the town had a population of about 8,300, and 30% of those residents are seniors. The town has just shy of 12 medical centers per 1,000 residents, the third-highest mark on this list. That includes a large hospital as well as a cardiology clinic and an arthritis clinic. Located right across the Delaware river from Trenton, NJ, Morrisville is the fourth town on our list and our 52nd best place to retire in the whole country. The town ranks well across almost all of the factors we considered. It’s almost 40% seniors, it ties for the lowest tax burden on this list at 16.4% and it has 3 recreation centers per 1,000 residents. The only benchmark where it doesn’t quite measure up is retirement communities, where it’s second-to-last among these 10 communities. The town of Mechanicsburg arrives on our list through consistency. It doesn’t lead in any of the factors we examined, but it doesn’t fall too low either. Rather, it’s right in the middle. The one exception is senior percentage: Mechanicsburg is only 17% seniors, which is second-lowest among the towns listed in this article. The town is roughly 9,000 people strong, and it’s located just outside the state’s capital of Harrisburg. With approximately 15,000 people as of the last census, Greensburg is the largest town to make our list. The town is the seat of Westmoreland County, and it’s located about 30 miles southeast of Pittsburgh. Its tax burden is on the higher end of this list’s range at 17.3%, but it also ranks well in terms of medical centers per 1,000 residents at 11.25. Greensburg is the site of Seton Hill University. Although it’s a town of only 6,500 people, Franklin is the only town on this list that can boast of its own airport. Located in northwestern Pennsylvania, Franklin is about a 90-minute drive (or a shorter flight) north of Pittsburgh. Franklin’s place on the list is in large part due to its high senior percentage. With 48% of the population being seniors, Franklin has the highest percentage of any town on this list. On the other hand, the town’s 5.82 medical centers per 1,000 residents is one of the lower figures on the list. The town of Paoli is yet another Philadelphia suburb on our list, located right alongside the Vanguard nationwide headquarters. 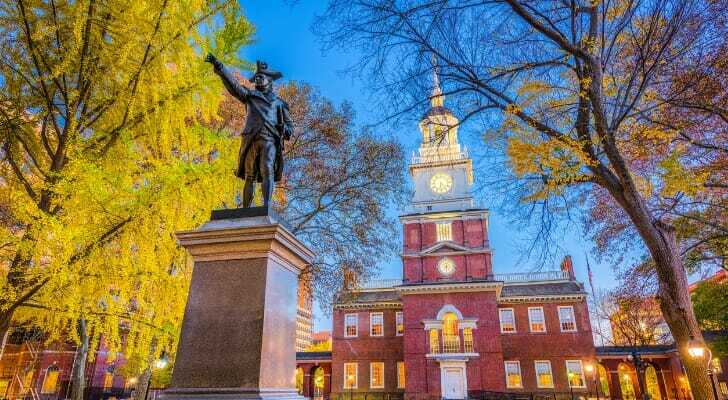 The town has plenty to offer, including a large hospital, the lowest tax burden of any town on this list and easy access to Philadelphia. Paoli has the fewest retirement communities and second fewest recreation centers per 1,000 among these 10 towns, but you’ll still be able to find a community, even if you have to head to neighboring towns to do it. The ninth town on our list, Blue Bell is the first of these Pennsylvania towns to be ranked outside the top 100 in the country at 107th. Located just 18 miles from Paoli, the previous town, Blue Bell is another Philadelphia suburb, roughly 6,000 people strong. There isn’t much to the place – Blue Bell has the second-lowest number of medical centers and third-lowest number of recreation centers per 1,000. However, its location amid lots of suburbs means you won’t have to drive to far to find what you’re looking for. Rounding out our list is Willow Street, a small town just south of the larger city of Lancaster. The town had just under 9,000 people as of the last census. Among the 10 towns on our list, Willow Street is 10th in both medical centers per 1,000 and recreation centers per 1,000. However, it has the second-highest senior percentage at 43.2%, so you’ll be in good company if you choose to retire there. Furthermore, it still ranked as the 128th best place to retire, so while it may be 10th in Pennsylvania, it would be first in plenty of other states. Whether you’re planning to retire in four years or four decades, talking to a financial advisor can help you solidify your plan. SmartAsset’s financial advisor matching tool can help connect you to an advisor that’s right for you. Simply, answer a few questions, and the tool will pair you with up to three qualified financial advisors in your area. From there, you can chart a course for your dream retirement. If you want to retire in style, you’ll need to save. Make sure you’re taking advantage of a workplace retirement account like a 401(k) plan if you have one. Contributing as much as you can now, especially if your employer matches contributions, can benefit you exponentially down the line thanks to compound interest. Here’s a guide to how much you should contribute to your 401(k).